Mobile phone manufacturers have always been encouraged to make their devices more user-friendly for people with vision difficulties or those who are completely blind. There have been features prescribed or recommended. The American Foundation for the Blind (AFB), for instance, lists 16 basic features that are believed to make certain devices good options for blind users. 1. OwnFone is not the first Braille mobile phone to be introduced but it will likely be the first to reach consumers. Many articles and press releases from the company claim that this device is the first Braille-based mobile phone but it certainly isn’t. There have been other Braille phones announced earlier. One example of which is Tactility, a phone specifically designed for the blind or visually impaired. A Braille phone was also introduced (prototype) in India by a startup company called Kriyate. 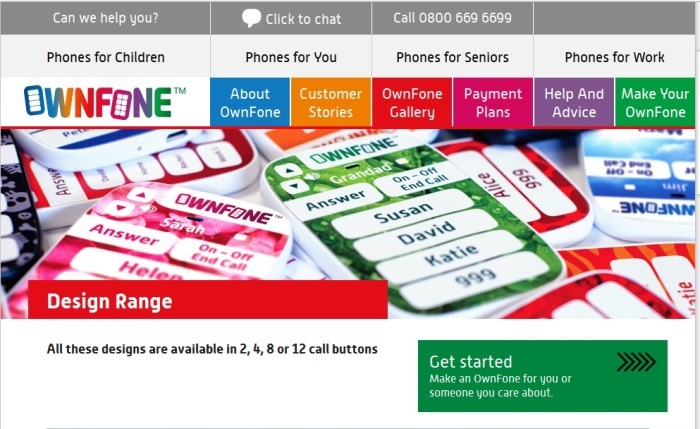 However, OwnFone will probably be the first to be available on the market. 2. The phone chassis is manufactured using 3D technology. 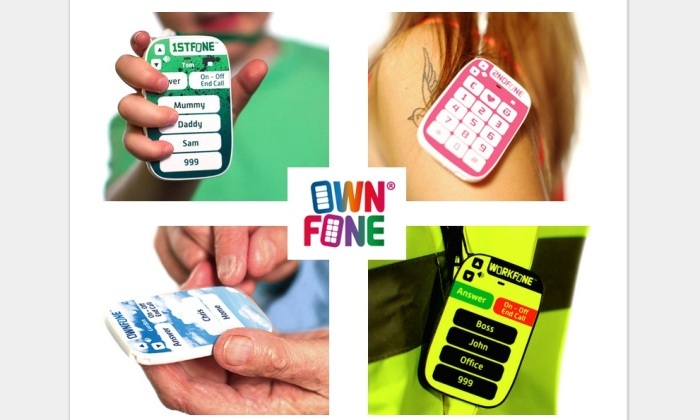 OwnFone’s front and back plates are created using 3D printing techniques. As such, there are options to customize the design. The phone has a very rounded appearance that will most likely provide a good and comfortable grip. However, with the 3D printing customization possibility, changing the phone’s looks or making it more amenable to user preferences (at least when it comes to form) will not be difficult. Moreover, it will also be possible to have alphabets and numbers printed on the device’s keys to make this Braille phone still usable for those who can’t read Braille. 3. Buyers can customize the phone’s design a la Motorola Moto G. By going to the official OwnFone website, prospective buyers can create their custom designs to make the phones easier to use and be in accordance to personal aesthetic preferences. Also, OwnFone does not only produce Braille phones. The company can also create custom phones for children, for seniors, and for those who need something highly customized for work use. 4. The phone costs £60. The device is certainly inexpensive. According to the phone’s creator, Tom Sunderland, 3D printing is one of the reasons why the production costs have been kept at a minimum. However, potential users shouldn’t expect too much. It may cost only £60 but it certainly does not come close to the bang for the buck offered by Google’s Nexus devices or the recently launched One Plus One handset from China. OwnFone is no smartphone so it only offers very basic phone functions. It does not not even have a voice mail feature. Likewise, it does not come with virtual assistants like Siri, Cortana, Google Now, or the S Voice of Samsung. 5. Don’t expect anything similar to a typical smartphone. OwnFone’s Braille phone does not have a display. Well, that’s expected considering that it’s a device intended for those who are incapable of using their sense of sight. As such, you cannot use this phone to watch videos, surf the Internet, and read e-books. It does not even have voice mail support. It is a very basic device for making calls. 6. OwnFone’s Braille phone is not just for blind people. Obviously, even people with perfect vision can also learn how to read Braille. Hence, using the OwnFone Braille handset shouldn’t be impossible. Also, as mentioned earlier, additional marks or indicators may be printed on the keypad of the phone to make it easy to control the phone without learning Braille. Using a Braille phone is definitely convenient for people with vision difficulties or for those who are already completely blind. However, there are also uses of theses phones for people with normal eyesight. For one, Braille phones can be used as concealed or disguised communication devices. There are many creative and no-nonsense ways of using phones with Braille keyboards. It’s just a little disappointing, though, that OwnFone does not have a smartphone version. There should be a way to help blind people experience the conveniences afforded by high end smartphones with the help of Braille controls.